CINCINNATI — University of Cincinnati athletic director Whit Babcock’s name has surfaced as a candidate for the job at Virginia Tech, according to multiple reports. The Roanoke Times first mentioned Babcock on Thursday as a possible replacement for retired AD Jim Weaver, saying Babcock had applied for the position. Babcock has not commented on the job search. 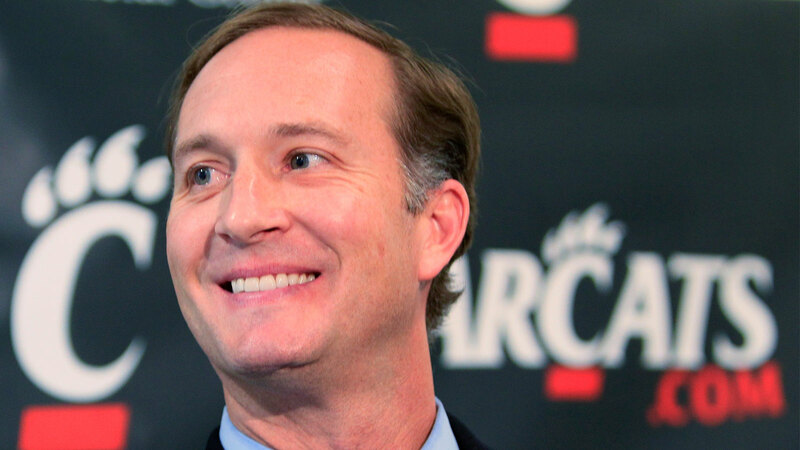 He was not at UC’s basketball game Thursday night against Central Florida as he was in Florida attending a meeting of collegiate ADs. Babcock came to UC in 2011, replacing Mike Thomas after Thomas left to take over as AD at Illinois. The past few years have been a time of upheaval for the UC athletic department but Babcock has brought a sense of stability. UC has had three football coaching changes in the past five years, with Brian Kelly leaving for Notre Dame and Butch Jones for Tennessee, but Babcock’s hiring of Tommy Tuberville in December 2012 was a coup for the program. In the wake of UC being left out of larger conferences during recent realignments, including the Atlantic Coast Conference of which Virginia Tech is a member, Babcock has helped institute a fundraising campaign to fully fund all sports programs at UC that previously had budgets and scholarships cut. UC is in its first season as a member of the American Athletic Conference. The Bearcats had spent the previous eight seasons in the Big East but the conference split, with non-Division I football schools holding onto the conference name. Louisville (ACC) and Rutgers (Big Ten) are leaving the AAC after this first year. UC’s men’s basketball team (18-2, 7-0 AAC) is currently ranked No. 15 in the country in the Associated Press poll and has won 11 straight games. Nippert Stadium is currently undergoing a privately funded $86 million renovation and expansion project that is scheduled to be completed in the time for the 2015 season. Babcock has a contract with UC through 2020, having signed an extension to his original deal last year. He is a native of Harrisonburg, Va., and a graduate of James Madison University in Harrisonburg.